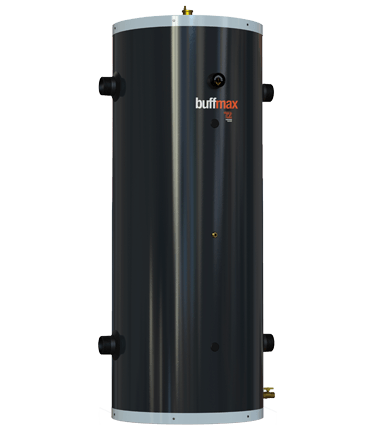 The BUFFMAX optimizes runtimes by “buffering or storing” the energy required for the hydronic air source heat pump system in larger quantity so that the system can draw off this energy without the need for the heater to turn on. 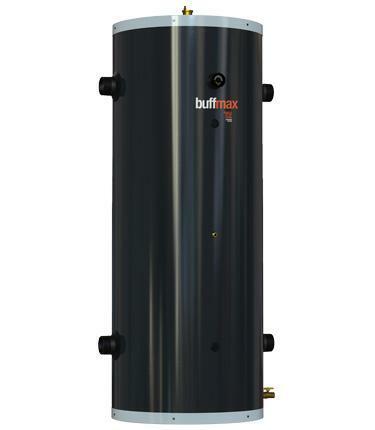 The added mass allow the heat pump to run for longer periods of time eliminating “short cycling” The BUFFMAX is an ideal Hydronic Separator with a top air vent and 4 side ports it allow the system to run off two different pump speeds. The primary supply pump for the hydronic heater usually requires a much higher flow rate than the demand hydronic heating loops. 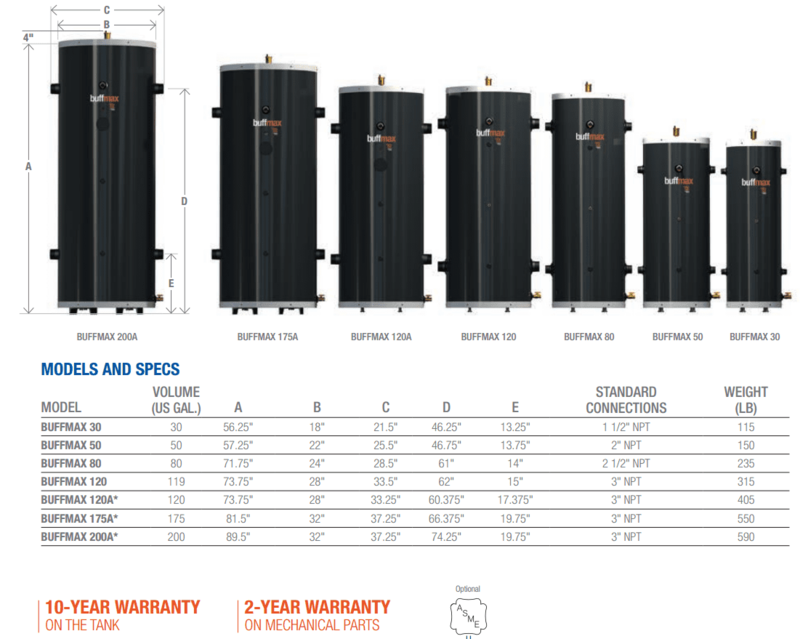 Using a buffer tank eliminates the need for a primary and secondary heating loops or dominator loops.